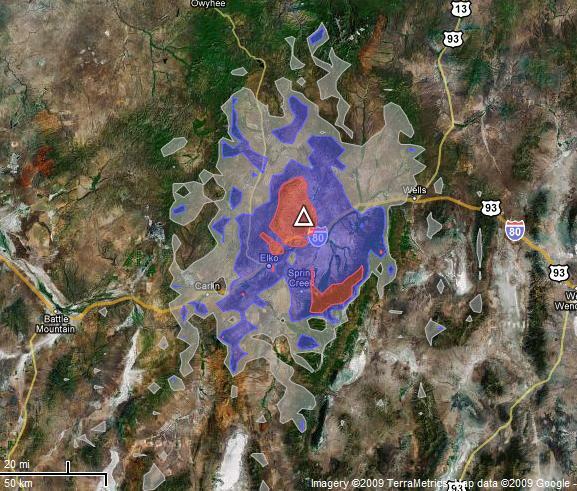 This Echolink Node is located 18 miles northeast of Elko. It has an output power of 20 watts. You will need to use a 100.0 PL Tone for access. The node may be used by any licensed amateur radio operator. The antenna is a Diamond F-23A at 40 feet AGL. You can also use your touch tone pad to get node information, the current weather and forecast or to connect and disconnect to other nodes. If you are connecting to other nodes first disconnect the node from its current connection. Then connect to the node you want by entering the number (or node shortcut) you wish to connect to. When done with your contact Press # to disconnect the node. The echolink interface controls an external fan and decodes the DTMF tones and sends them to the pic processor. The pic then passes the decoded tones to the software (EchoProducer Plus and Echolink). 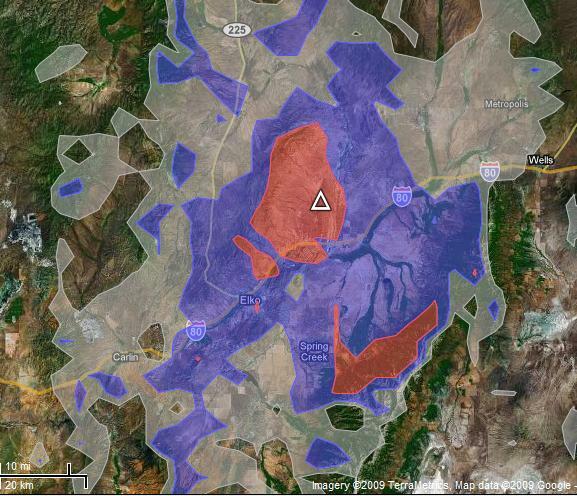 This radio system covers most of the I-80 Corridor from Emigrant Pass to Wells, Nevada. Handheld friendly even at low power settings in Ryndon, Osino, the Adobe Range and Elko Mountain. 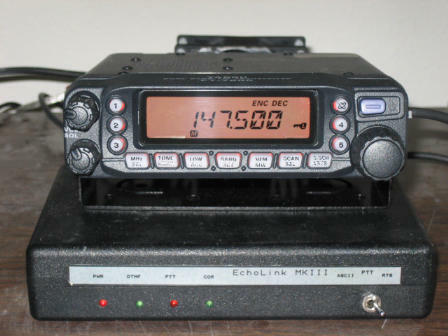 Listen to Amateur Radio Newsline here on this system at 8:02 pm every Friday evening. The courtesy tone is on when the node is connected. If it's a local station talking, you will not hear a courtesy tone. # Disconnect Node 9999 Test Your Input Signal 12* Echolink Info. Listen to Amateur Radio Newsline here on the system every Friday at 8:00 pm and Sunday at 8:00 am. Join us for the Do Drop In Echolink net & AR Newsline every Saturday night at 6:00 pm. Also on Tuesdays at 4:30 PM is the TIPS NET, Ham radio tips and information. This system will also transmit weather warnings for the local area when issued by the NWS.